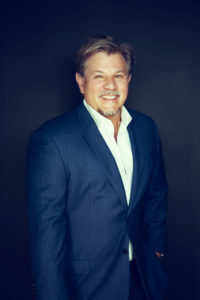 Dr. Michael Gutierrez has worked in private practice in Orlando since 1987 and was Chief of Dermatology at Florida Hospital from 2000 to 2003. His professional memberships include the American Academy of Dermatology, the American Medical Association, the Central Florida Society of Dermatology, and the Florida Society of Dermatologic Surgeons. He was a board member of the Pan American Medical Association and a counselor for the Southern Medical Association. Dr. Gutierrez was born in Cuba in 1957 and immigrated to the US in 1960, where he grew up in both New Orleans and New Jersey. He received a BS in Biology from the University of New Orleans and completed his medical training at Louisiana State University Medical School. He interned and did his residency at Charity Hospital New Orleans, and was board certified in dermatology and dermatological surgery in 1987. During his residency, Dr. Gutierrez was a recipient of the Peterkin Award for Outstanding Resident Research Projects and received a Continuing Medical Education Award from the American Academy of Dermatology. He was also voted “Top Doctor” by Orlando Magazine in 2011. In 2016, Dr. Gutierrez became a clinical assistant professor in the Department of Clinical Sciences in Dermatology at Florida State University’s Orlando Campus. Additionally, he teaches at the University of Central Florida’s School of Medicine. He is bilingual, fluent in both Spanish and English.